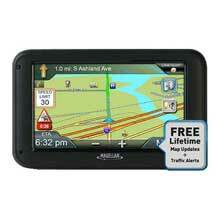 The Magellan RoadMate 3045-MU is a premium 4.7 inch navigator packed with features, including one free map update, Magellan OneTouch favorites menu, free lifetime traffic alerts, highway lane assist and built-in AAA TourBook and much more. 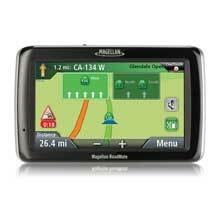 MAGELLAN RoadMate 5255T-LM, Back-up, 5 inch. 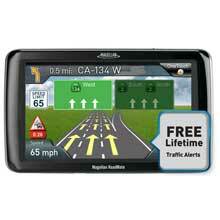 Roadmate 5255T-LM, Back-up, MFG RM5255SGBUC, auto GPS navigation and back-up camera system with Free Lifetime Map Updates. Free Lifetime Traffic Alerts. Portrait and Landscape Viewing Modes. 5 inch color LCD. Junction View. Spoken Street Names. 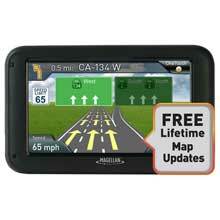 Roadmate RV 9490T-LMB, MFG RV9490SGLUC, RV GPS w/ Lifetime Map Updates and Bluetooth capability. 7 inch LCD. Pre-loaded with RV Travel Guide and Campground Directory, as well as RV Sani-Dump Station Locations. Customizable Routes. Speed Limit Warnings. 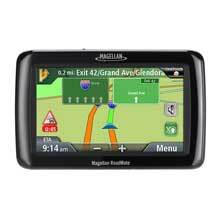 MAGELLAN RoadMate Commercial 5370T-LMB, 5 inch. 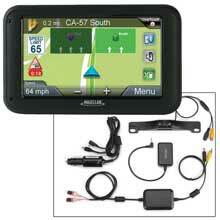 RoadMate Commercial 5370T-LMB, MFG RC5370SGLUC, trucking GPS with Lifetime Map Updates and Bluetooth capability. Truck Specific Routing. Multiple Driver Login, Status Reports. Landmark Guidance. Lane Assist. Speed Limit Warnings. Hands-Free Calling. The Magellan RoadMate 2036 is a premium 4.3 inch navigator packed with features, starting with the exclusive Magellan OneTouch favorites menu, free lifetime traffic alerts, highway lane assist and built-in AAA TourBook plus much more. 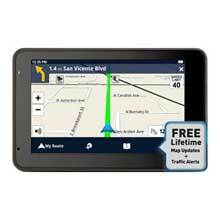 The RoadMate 2210T brings Free Lifetime Traffics Alerts to an entry level product. The Lifetime Traffic Alerts feature scans the airwaves for reported traffic events. When an incident is found on your route the navigator will automatically offer to you an alternative route with the time savings. 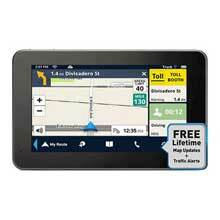 The RoadMate 2220-LM introduces the security of Free Lifetime Map Updates. With the ability to update your maps up to four times a year you can rest easy that you are driving with the latest road changes in your navigator. 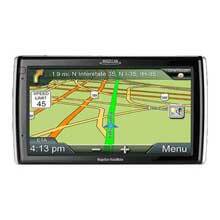 Roadmate 2230T-LM, MFG RM2230SGLUC, automotive GPS with Free Lifetime Map Updates.4.3 inch color LCD, U.S. & Canada maps. Landmark Guidance. Lifetime Traffic Alerts. Junction View. Speed Limit Warning. Spoken Street Names. Multi-Destination Routing. The RoadMate 2240T-LM offers the security of Free Lifetime Map Updates and the convenience of Free Lifetime Traffic Alerts. Drive knowing you have the latest road changes in your navigation. The RoadMate 2255T-LMB provides the convenience of Bluetooth pairing to your cell phone to serve as your in-car speakerphone. Integrated Bluetooth wireless technology with a built-in microphone and speaker can make your commute time a productive one. Magellan brings you the RoadMate 5220-LM. Enjoy the security of knowing your maps are always up to date by taking advantage of the Free Lifetime Map Updates feature, which allows you update your maps for free up to four times a year. This 5 inch touch screen navigator comes with high end features such as Free Lifetime Map Updates.Free Lifetime Traffic Alerts. You also get compatibility with the optional Magellan Wireless Back-up Camera for added safety backing out of your driveway and ease of parallel parking. Roadmate 5322-LM, MFG RM5322SGLUC, auto GPS w/ Lifetime Map Updates. 3D Buildings. 5 inch Portrait/Landscape Mode LCD. Junction View. Best Parking. Landmark Guidance. Touch Screen Display. Spoken Street Names. Quickspell. 7 Million POIs. Customizable Routes. 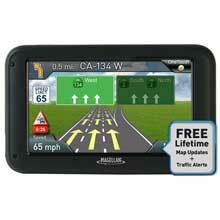 Roadmate 5330-LM, MFG RM5330SGLUC, auto GPS with Lifetime Map Updates. Lifetime Traffic Alerts. 3D Buildings. 5inch Portrait/Landscape Mode LCD. Junction View. Best Parking. Touch Screen Display. Spoken Street Names. Multi-Destination Routing. 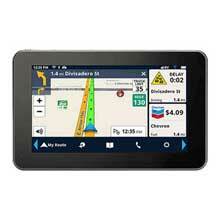 Roadmate 5430T-LM, MFG RM5430SGLUC, auto GPS with Lifetime Map Updates and 5 inch Multi-Touch Glass Screen. Lifetime Traffic Alerts. Junction View. Speed Limit Warnings. Best Parking. Spoken Street Names. Smart Search. Smart Detour. 7 Million POIs. 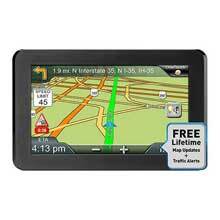 Roadmate 5465T-LMB, MFG RM5465SGLUC, auto GPS with Free Lifetime Maps, Bluetooth compatibility and 5 inch Multi-Touch Glass Screen. Lifetime Traffic Alerts. Junction View. Speed Limit Warnings. Best Parking. Smart Search. Spoken Street Names. 7 Million POIs. 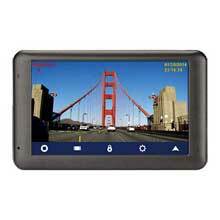 Roadmate 6220-LM DashCam Navigator, MFG RM6220SGLUC, auto GPS with Lifetime Map Updates and Integrated DashCam. 5 inch High-Resolution Touchscreen. G-Shock Sensor. Wide-angle Lens. Junction View. Spoken Street Names. SmartDetour. Customizable Routing. 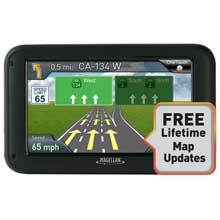 Roadmate 9200-LM, MFG RM9200SGLUC, auto GPS with Lifetime Map Updates. Big 7 inch High-Def Touchscreen Display. Highway Lane Assist. Speed Limit Warnings. Spoken Street Names. Quickspell. 7 Million POIs. Multi-Destination Routing. Bird s-eye View. Roadmate 9400-LM, MFG RM9400SGLUC, auto GPS with Lifetime Map Updates. 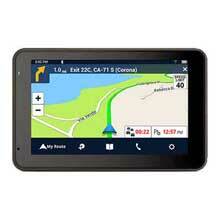 7 inch Easy Viewing Touchscreen Display. Junction View. Speed Limit Warnings. Spoken Street Names. Best Parking. 7 Million POIs. Multi-destination Routing. Bird s-eye View. 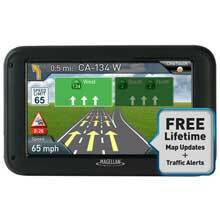 Roadmate 9416T-LM, MFG RM9416SGLUC, auto GPS with Lifetime Map Updates and Traffic Alerts. 7 inch Easy Viewing Touchscreen. 3D Buildings. Portrait/Landscape Mode. Junction View. Best Parking. Speed Limit Warning. Spoken Street Names. 7 Million POIs. 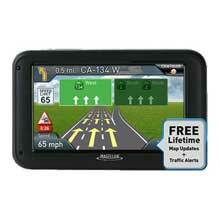 Roadmate 9465T-LMB, MFG RM9465SGLUC, auto GPS with Lifetime Map Updates and Bluetooth capability. 7" Easy Viewing Touchscreen Display. Lifetime Traffic Alerts. Junction View. Speed Limit Warnings. Spoken Street Names. Best Parking. 7 Million POIs. 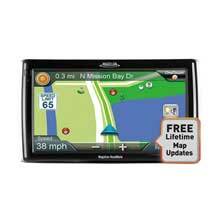 Roadmate RV 5365T-LMB, MFG RV5365SGLUC, RV GPS w/ Lifetime Map Updates and Bluetooth capability. 5 inch LCD. Pre-loaded with RV Travel Guide and Campground Directory, as well as RV Sani-Dump Station Locations. Customizable Routes. Speed Limit Warnings. Magellan and Good Sam have teamed up to produce the RoadMate RV9145-LM, an in-vehicle GPS that is specifically designed for RVers. 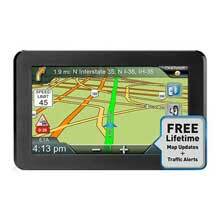 RoadMate RV9365T-LMB, MFG RV9365SALUC, GPS for RVs, 7inch touchscreen LCD, custom RV routes, campground directory, dump station locations, U.S. Canada, P.R. maps.